Morganite is known primarily as a pastel-colored gemstone. Buyers can choose among soft pink, purplish pink, and orangy pink. Although often light in color, top-quality material can be a strong pink. The most prized morganite colors are a strong pink to magenta color, often the result of heat treatment. Untreated material, especially from Brazil, often has a salmon-like orangy pink color. 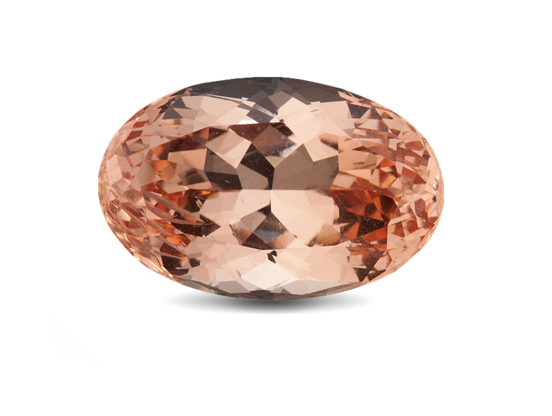 Morganite’s color is often light, and more intense colors cause a significant rise in value. Faceted morganite often does not have eye-visible inclusions. Larger sizes are more likely to show inclusions. Stones with numerous eye-visible inclusions are carved or cut as cabochons. Morganite is cut into a variety of shapes. It is a popular material for cut designers to fashion into unique creations. Morganite is also popular with gemstone carvers. Light-color material might be cut slightly deep to help intensify the color. Morganite is found in all sizes and is often cut in calibrated sizes to fit standard jewelry mountings. Large faceted stones are not uncommon. GIA doesn’t grade morganite. GIA Gemological Identification Reports list the characteristics of a morganite (weight, measurements, shape, cutting style, and color), state if it’s natural or synthetic, and indicate detectable treatments. Morganite might be heat-treated to modify the color. The effect is often to alter the orange-pink color to a more pure pink. The treatment is routine. The term “pink emerald” is not accepted by GIA. The Institute’s experts feel that it is a misleading term. Both emerald and morganite are varieties of the mineral beryl. Morganite is a beautiful gemstone in its own right and GIA feels it should be referred to as morganite or pink beryl. Synthetic morganite is produced, although not in large commercial quantities. It can be separated from the natural material by testing in a gemological laboratory. Keep your morganite beautiful by following simple care and cleaning guidelines. Morganite is durable enough for use in all types of jewelry and daily wear, although rough handling should be avoided. Warm, soapy water and gentle scrubbing is the safest way to clean morganite. 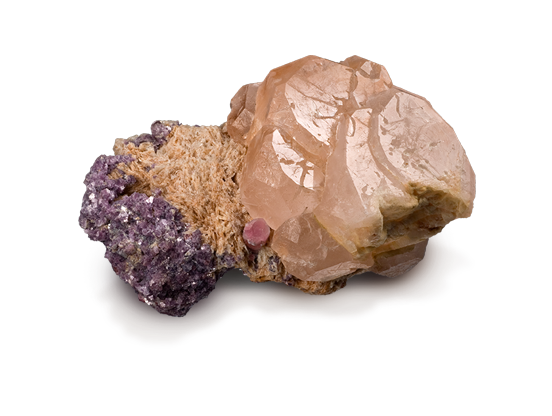 Morganite is routinely heat-treated, which is stable under normal wear.